Many people see their family dentist more than any other health-care provider — even their family doctor. That’s not surprising, given the amazing array of hands-on services provided. We not only treat common dental problems and help you prevent diseases like tooth decay — we can also help you look and feel your best — at any age. But despite its many advantages, some people avoid dental care because they are anxious or even fearful. If this describes you, we want to help. There’s a lot we can do to make you more comfortable before, during and after dental treatment. The important thing is not to miss out on the benefits of a healthy, beautiful smile. The bedrock of a general dental practice is preventive care. Our number one goal is to keep you free of disease and pain. 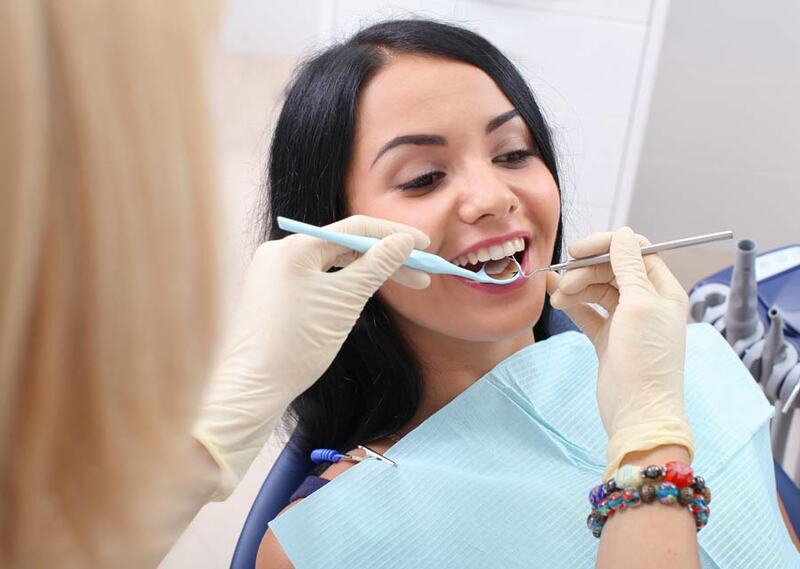 During your routine office visit, you’ll receive a thorough professional teeth cleaning that will not only make your smile sparkle, but will also help rid your mouth of harmful dental plaque and tartar. The disease-causing bacteria in plaque is responsible for tooth decay and gum disease. If we notice signs of either condition, we have a number of ways to help get you back on the road to optimal oral health. And we’ll give you tips on maintaining effective oral hygiene at home. Your routine dental exam also includes a screening for oral cancer — a deadly disease that strikes adults of all ages. This disease can be deadly — but the odds of successful treatment rise dramatically when oral cancer is caught early. Children also receive special preventive services here, including tooth-saving fluoride treatments and dental sealants when needed. We take the time to make every child — and adult — feel completely safe and comfortable so dental visits will become a healthy habit throughout life. Teeth are not indestructible, especially if decay does set in. Fortunately, many kinds of treatment are available. No matter what kind of dental problem you may be experiencing, it’s important to get it taken care of as quickly as possible to give you the best chance of saving the tooth. A whiter smile can make you look years younger. Teeth whitening is a relatively inexpensive cosmetic dental procedure — and teeth whitening provided by a dental professional is the quickest, safest, and most effective way to go. Cavities should always be filled promptly to prevent decay from spreading deeper into a tooth, where it can cause a root canal problem. Tooth-colored fillings blend in beautifully with your smile. Chipped teeth can often be repaired with a quick, easy and relatively inexpensive method of restoration called bonding. In this technique, liquid tooth-colored composite resin is applied to the tooth and hardened layer by layer. Bonding takes just one visit — and the results can be dramatic! Damaged teeth sometimes need a complete covering, known as a crown or cap, in order to stay viable. Tooth-colored crowns are indistinguishable from natural teeth, so only you and your dentist will know you have one. These are super-thin tooth-colored shells that cover just the front surface of your teeth — the part you can see. Veneers can fix numerous cosmetic defects, including discoloration, cracks and small chips — all at the same time! Best of all, veneers won’t stain like natural teeth do. Missing teeth can affect your health, confidence, and quality of life. We offer several different methods of tooth replacement. Let us help you find the one that’s right for you, so you can live life to the fullest again. If you or your child experiences a dental emergency, help is available at the dental office. In fact, unless a tooth injury is accompanied by impaired consciousness or other signs of a dangerous medical condition, any form of dental trauma is best treated in a dental office — not an emergency room. Dentists have the expertise and specialized equipment needed to fix broken teeth, stabilize teeth that have been loosened, and give you the best chance of saving a tooth that has been knocked out completely. So whether it’s a routine checkup or an urgent situation, remember: Your family dentist is always there for you!